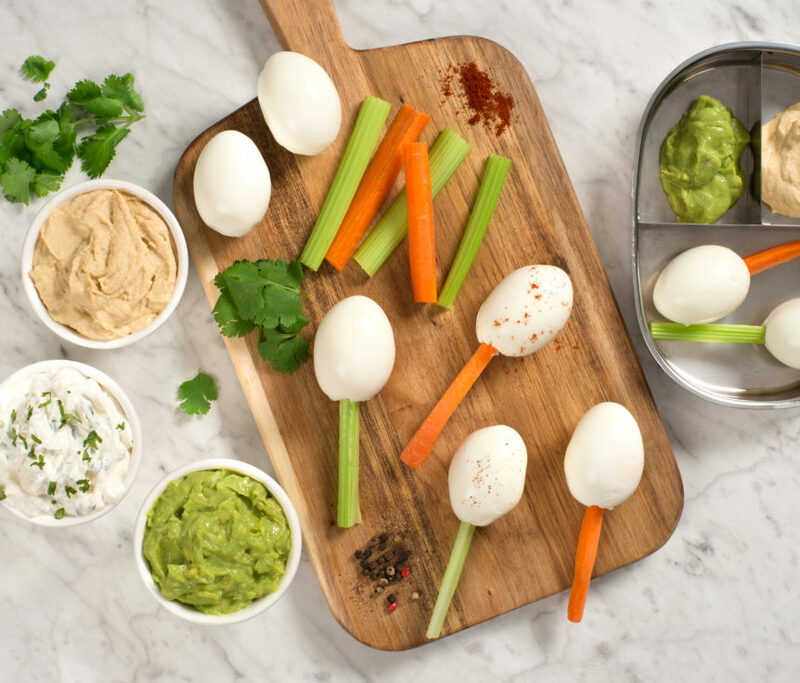 Quick and easy to prepare, Veggie Egg Pops are a perfect healthy snack for any time of day! 1. CUT carrots in half lengthwise; cut into 4-inch lengths. 2. CUT celery stalk in half lengthwise; trim into 4-inch lengths. 3. INSERT celery or carrot stick into wide end of each egg. 4. DIP into desired choice of dips. Garnish with a sprinkle of paprika and black pepper if desired. Serve with assorted crudités, such as red pepper sticks, steamed broccoli florets, steamed asparagus or cherry tomatoes.